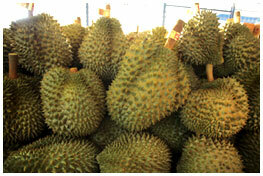 Thai fruit and Us, Leading exporter in Thailand. Our intention, and primary concern, is to select Thai fruit to market on a global scale. With the aim of creating a good reputation of quality for Thai fruit products to be exported and accepted internationally by the global market, Aim Thai Fruit Co., Ltd. By Mr. Tossaporn Thedsomboon was registered and established formally in 1999. With over 17 years of experience in the domestic fruit trade, Aim Thai started exporting fresh fruit to China with an annual export capacity of 60 X 40 foot containers. The vision of the company encouraged expansion to other regions and countries, such as Hong Kong, Indonesia, France, and Canada with an export capacity of 750 X 40 foot containers in 2005 under the name J-Fruit Product of quality. 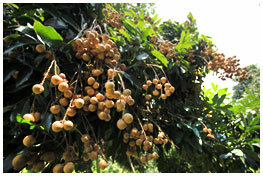 Nowadays under the name of J-Fruit Product, we have been selecting Thai Fruit comprising of Longan, Lychee, Coconut, Rose apple, Mangosteen, Pomelo, and Rambutan with careful attention to quality and stocking control in the packaging factories and the three frozen storage rooms for fresh fruit which are standardized and certified by the Good Agricultural Practice (GAP), Agriculture department, and the Ministry of Agriculture in order to have fresh and clean fruit. Furthermore the packaging factories are certified by the Good Manufacturing Practice (GMP) from the Food and Drug committee, at the Ministry of Health. We guarantee the quality of our Thai fruit exported to other countries by ensuring it is as fresh as when it was picked from the trees, fields or vines, in accordance with the slogan of J- Fruit ;Fresh from Our orchard.